The Sixers (43-25) are hosting the Sacramento Kings (33-34) at Wells Fargo Center on Friday night. Ben Simmons (upper respiratory) and Mike Scott (upper respiratory) are both listed as probable. The last time these two teams faced, Jimmy Butler, Joel Embiid and Simmons combined for 80 of their 108 points in a loss. When: 7 p.m. ET with Sixers Pregame Live at 6:30 p.m. 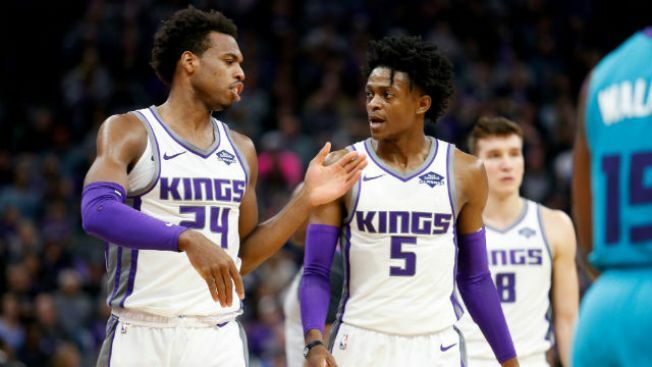 Along those same lines, who would've thought at the start of the season taht the Kings would be fighting for a playoff spot in the Western Conference? After last night's loss to Boston, the Kings' chances have become even more slim, as they sit five games behind the Clippers. But with the playoffs still in their sights, the Kings definitely still have something to fight for tonight. Dating back to March 2 against Golden State, Ben Simmons is shooting 78.1 percent from the free-throw line (25 for 32). For the season, Simmons is up to 60.3 percent and averaging 5.5 attempts per game (last year: 52.0 percent on 4.3 attempts per game). Simmons has looked a lot more confident at the line and has been more aggressive recently, something that the Sixers definitely need from him come playoff time.